Flew from New Orleans to Panama City, Panama and stayed at Hostel for 2 nights before busing to Portobello and boat crew meeting on the 31st. Had seen sights in Panama City on previous visit so chilled 1st 2 nights. 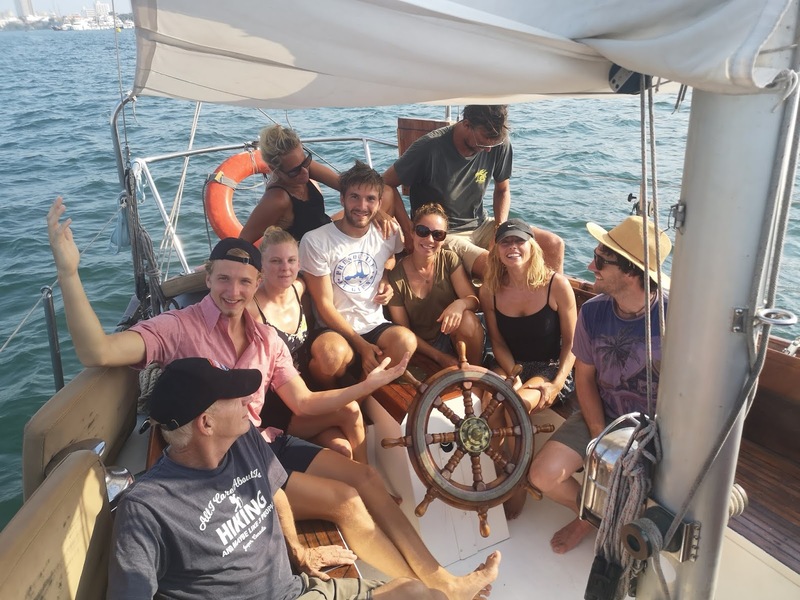 We set sail with 10 passengers from England, Scotland, Germany, Netherlands and US at 6 pm on April 1st. 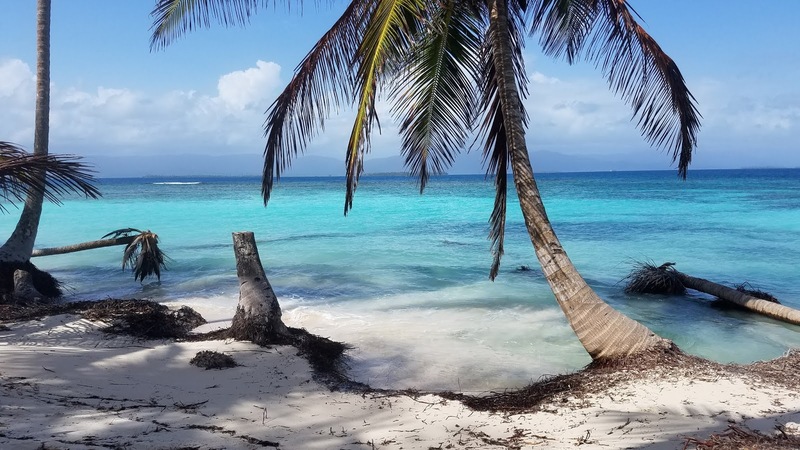 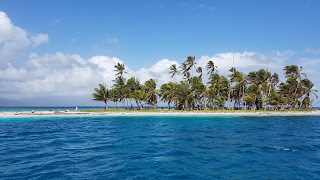 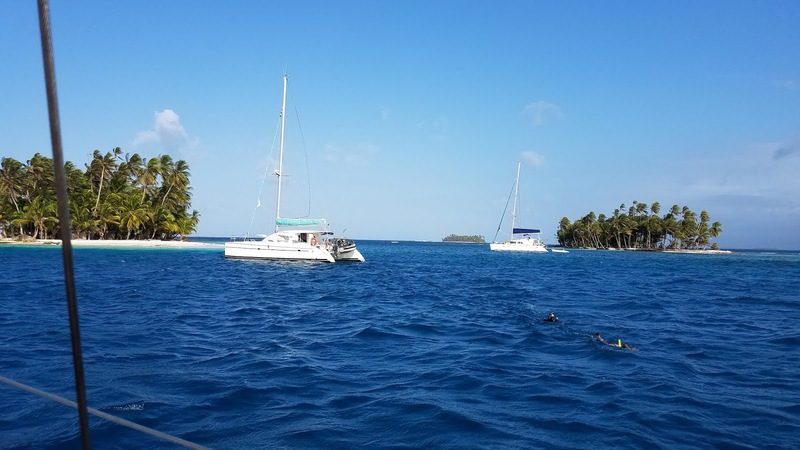 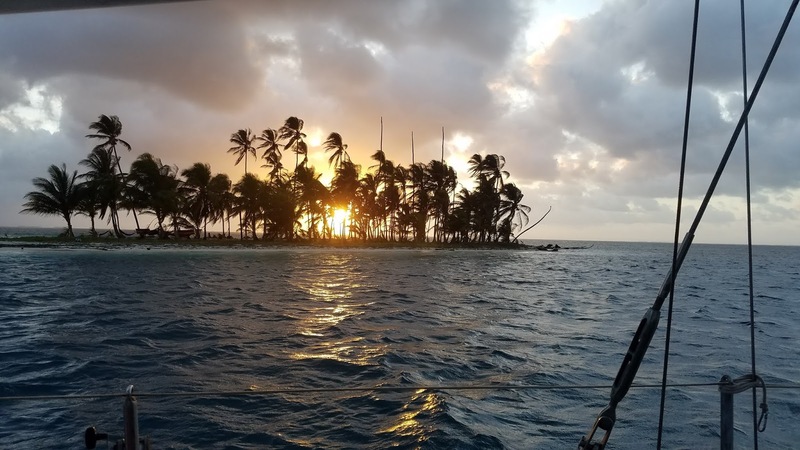 We sailed all night through pretty rough seas, thank you Dramamine, and arrived at the 1st of the San Blas Islands we would visit. 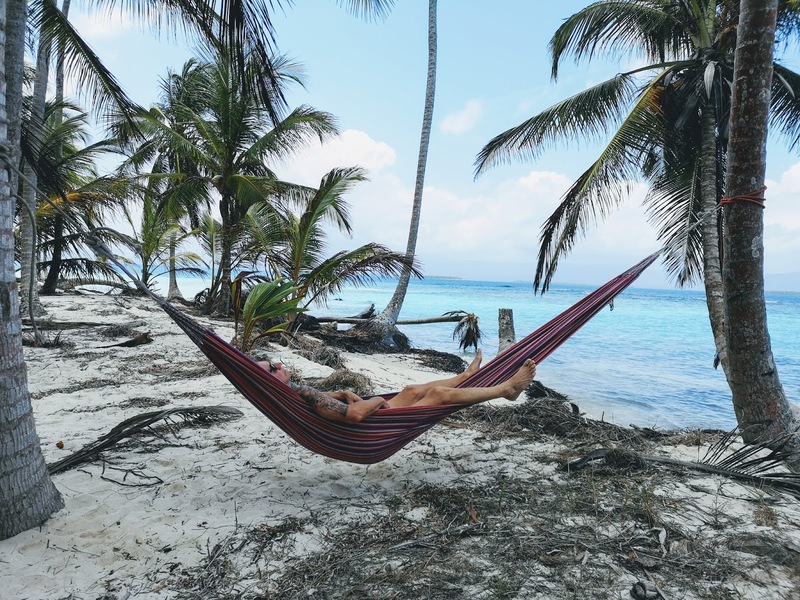 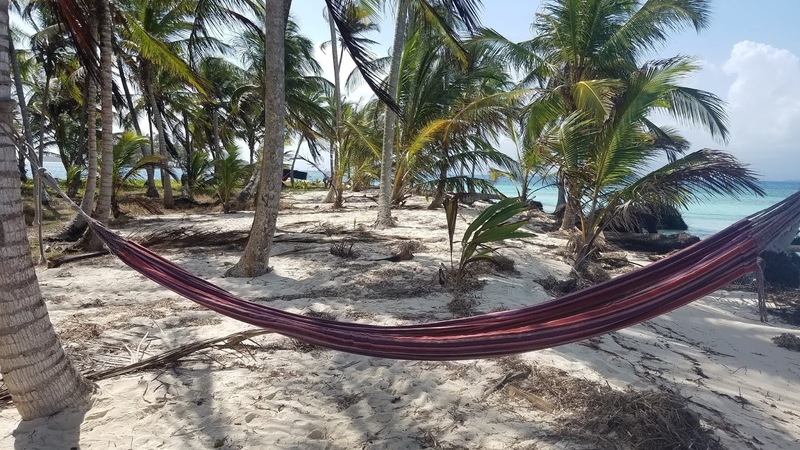 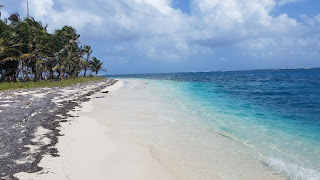 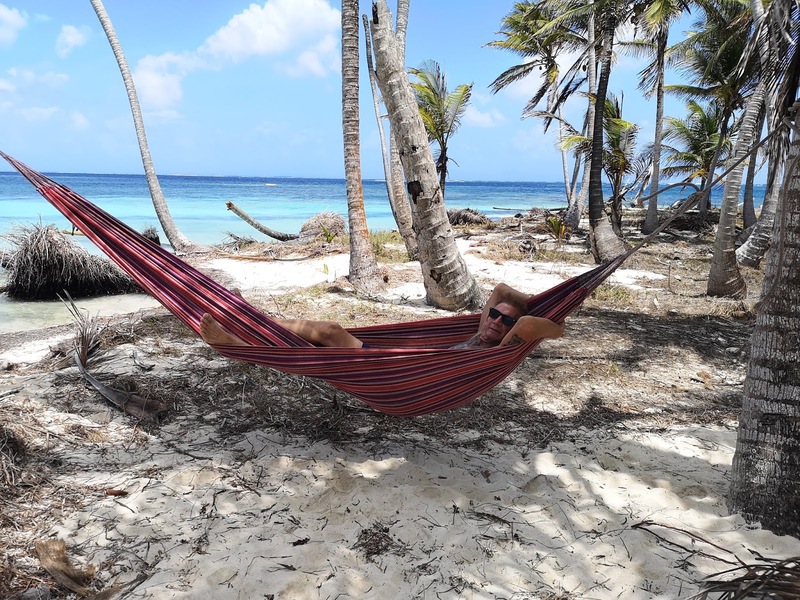 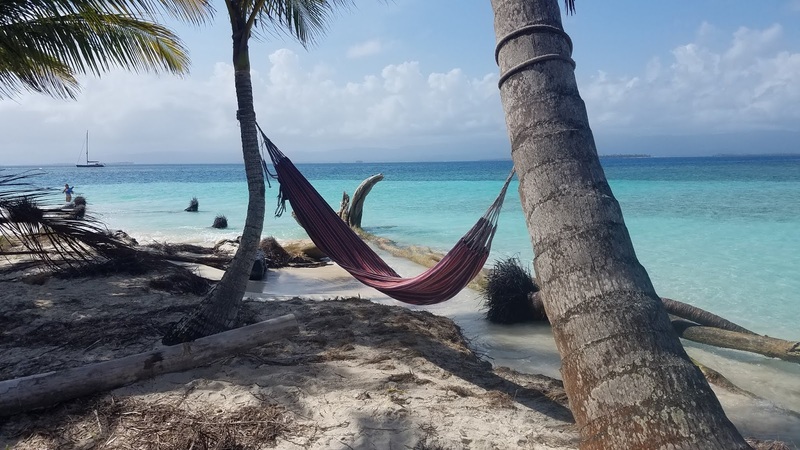 Spent nice day on uninhabited island and set sail again during the next morning for a 30 minute cruise to a bigger, uninhabited island where we put up hammocks and enjoyed snorkeling, sunning and snoozing for 2 days. 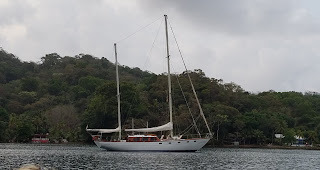 Then 40 hours (2 nights) of rough seas to Cartagena arriving at 6 am on April 6th. 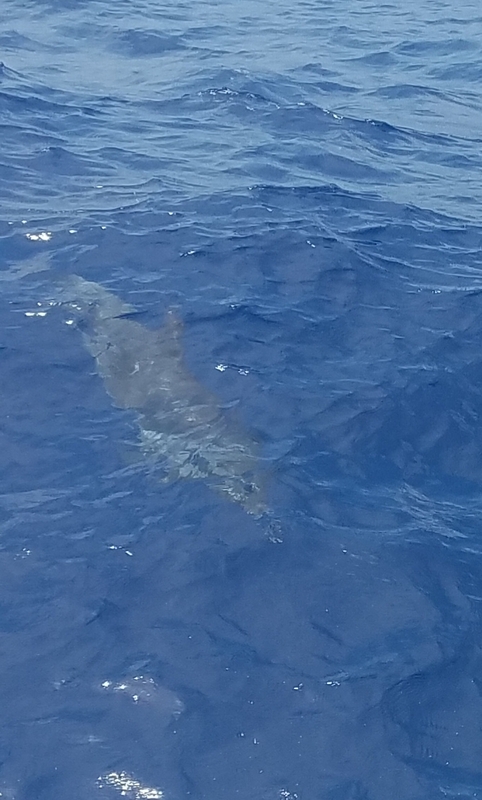 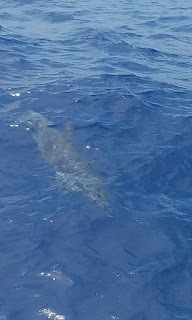 Enjoyed the overall experience, not the rough seas, but Captain Paul and his partner Sindry made it a great experience. 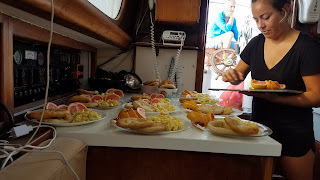 Thanks for great food Sindry.